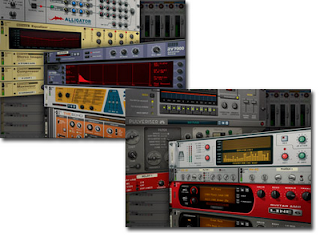 Back in June, Propellerhead Software's Reason 6.5 brought Rack Extensions (RE) to the table, mobilizing a sizeable army of users gagging to get their hands on the new toys. Now at version 6.5.2, Reason plays host to more third-party effects than instruments, as you'll discover from a quick shimmy around the online Prop Shop. So the timing of Groove 3’s release of this pair of tutorials on the software's bundled effects might seem a little unfortunate. Well, there’s still much to plunder before throwing Extensions at the rack. The two volumes, accounting for around eight years of Reason's development, cover the M-class and newer goodies. REs, however, do not feature. Both titles are narrated by Reason guru Sedric Pieretti, who has brought an admirably calm and reassuring style to previous Groove 3 training materials. It's immediately clear that he knows a good many techniques and appears to be familiar with every single button, switch and slider in the software. That should pique the interest of legion preset flippers and minor tweakers who seldom get to grips with what an effect actually does and how it works. Let's illustrate with the Alligator module. There's a number of videos about it in section 1 that follow the format of the entire tutorial series. Each button is explained and, while there's no easy way to make their functions particularly interesting, Sedric does his best and provokes a few 'ah! That's how it works!' moments. For example, it's not unusual to think a signal is split into three discrete and non-linked channels, but it turns out that it's just the one signal going though a high, band and low-pass filter. Should have seen that, but it took Sedric to point it out. One could stop this review now and pronounce both products a success because they achieve exactly what they promise, which is to help you grasp the nitty-gritty. But there's more. The final video on each effect offers creative possibilities that are well worth exploring. We get some lovely routing round the back of the devices that really make you sit up and pay attention. A subtitle for the series could be 'plus where to stick the cables' - a rather arcane art, but Sedric positively encourages his audience to hit the Tab key more often. And a very good thing too, since the means to rejig the Combinator is one of Reason's great strengths, so why not play to it? 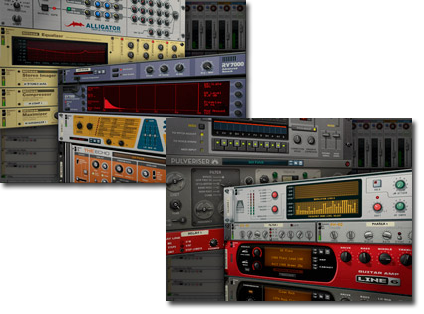 Reason has had the RV7000 reverb for a long time now and this is where you'll find the most in-depth coverage of the series. Quite sensible really, considering reverb is so ubiquitous and yet so easy to get wrong. Various reverb types - hall, plate, reverse and so on - are well explained, with Sedric relating what they're good for - in that sense, it complements another Groove 3 product, Reverb Explained by Eli Krantzenberg. Sed's take doesn't go into quite the same depth as the dedicated title, but it's clear that he knows his way around. He also provides plenty of dry/wet examples so you can hear what's going on. Again, such examples prompt the 'aha! ', since reverb is one of those things you often don't notice unless it's laid on with a trowel. The info translates well to other manufacturers' reverbs, so anyone who bought Aether by 2CAudio (and promptly ran away when they saw the bewildering array of controls) would do well to take a look. It'll be interesting to see how this series fares. With the introduction of REs, Reason is at a major turning point and maybe future vids won't be so easy, what with the broader range of units available with which to make and mangle noise. For now, however, Reason Effects Explained scores highly for two reasons. The first is that many users simply don't use the effects that come with Reason to their full extent. An effective producer is one who knows the tools, as opposed to one who spends hours plundering presets in the hope of striking fairy dust. This series will help deepen your knowledge, and look quite the whiz if producing under the watchful gaze of a client. The second reason is that the explanations given translate well to other effects of a similar type by different manufacturers. Overall, then, a fine brace of video collections by Sedric and a welcome fillip to Groove 3's ever-expanding library. Highly recommended. And at the *half-price offer, shown above, the duo is damn fine value.